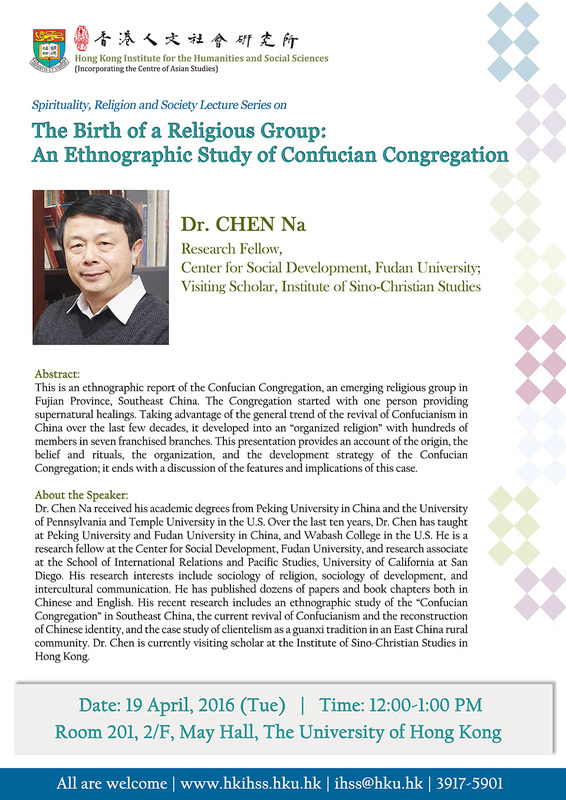 This is an ethnographic report of the Confucian Congregation, an emerging religious group in Fujian Province, Southeast China. The Congregation started with one person providing supernatural healings. Taking advantage of the general trend of the revival of Confucianism in China over the last few decades, it developed into an “organized religion” with hundreds of members in seven franchised branches. This presentation provides an account of the origin, the belief and rituals, the organization, and the development strategy of the Confucian Congregation; it ends with a discussion of the features and implications of this case. Dr. Na Chen received his academic degrees from Peking University in China and the University of Pennsylvania and Temple University in the U.S. Over the last ten years, Dr. Chen has taught at Peking University and Fudan University in China, and Wabash College in the U.S. He is a research fellow at the Center for Social Development, Fudan University, and research associate at the School of International Relations and Pacific Studies, University of California at San Diego. His research interests include sociology of religion, sociology of development, and intercultural communication. He has published dozens of papers and book chapters both in Chinese and English. His recent research includes sociology of religion, sociology of development, and intercultural communication. He has published dozens of papers and book chapters both in Chinese and English. 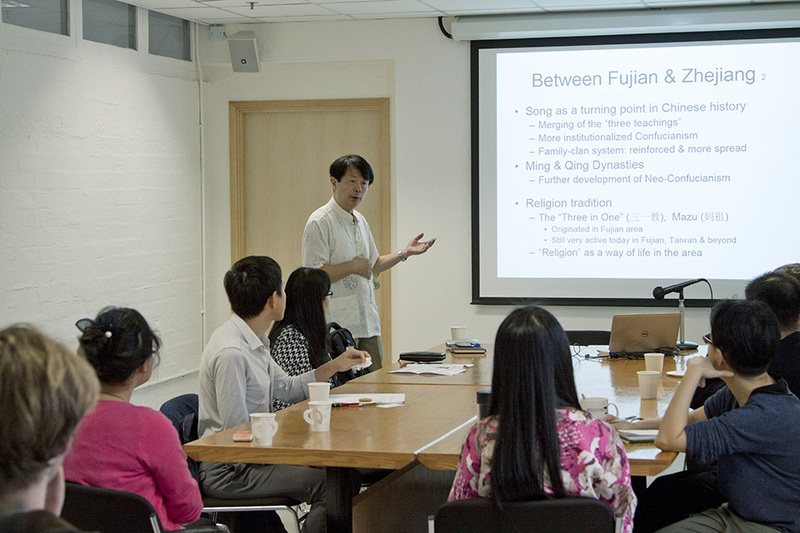 His recent research includes an ethnographic study of the “Confucian Congregation” in Southeast China, the current revival of Confucianism and the reconstruction of Chinese identity, and the case study of clientelism as a guanxi tradition in an East China rural community. 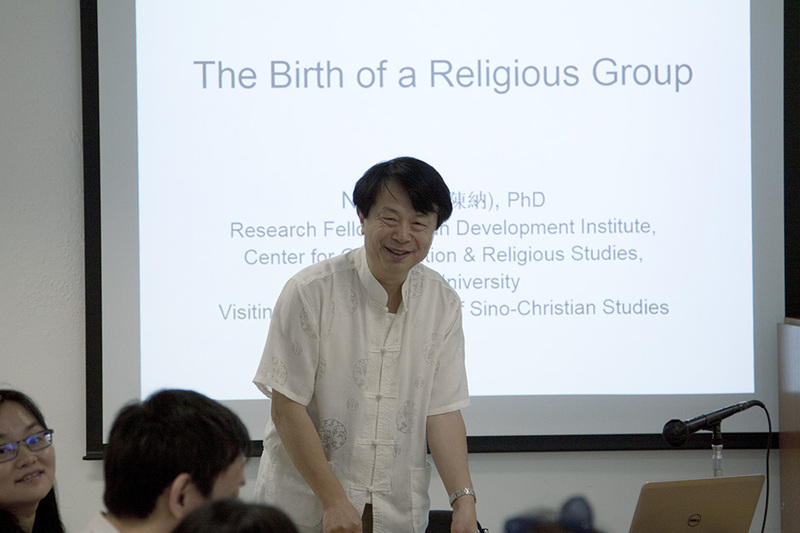 Dr. Chen is currently visiting scholar at the Institute of Sino-Christian Studies in Hong Kong.